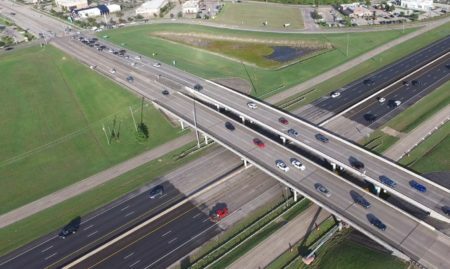 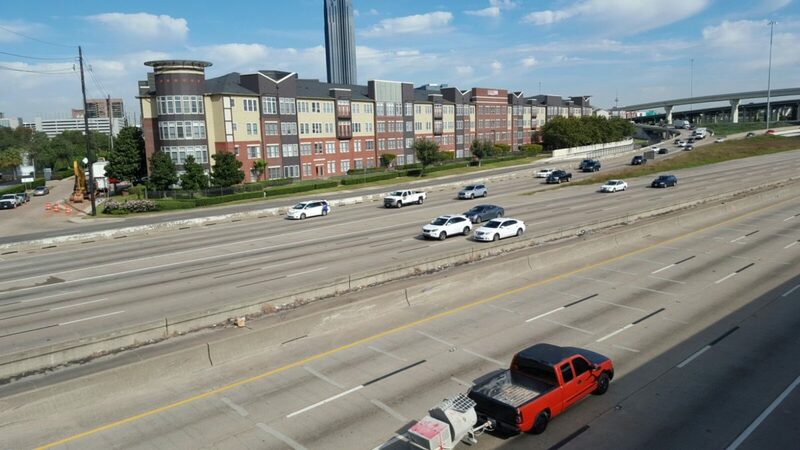 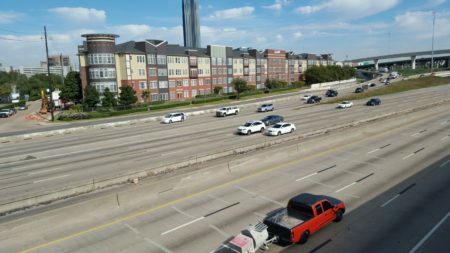 Construction will begin in February on a $259 million project to redesign the congested interchange where I-69/US 59 meets the 610 West Loop. 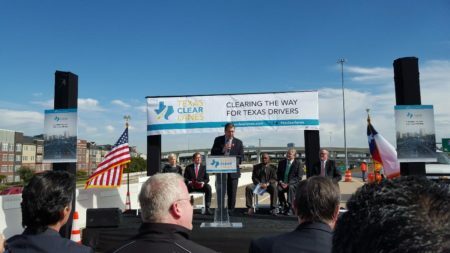 Texas Department of Transportation currently ranks it as one of the state’s biggest traffic choke points. 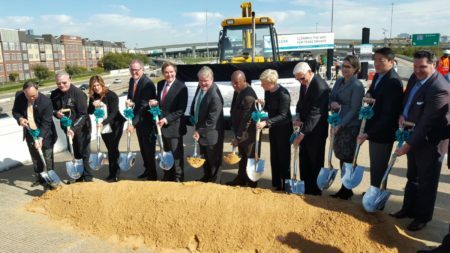 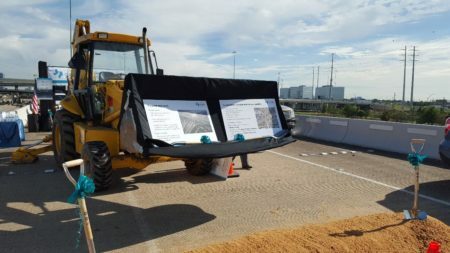 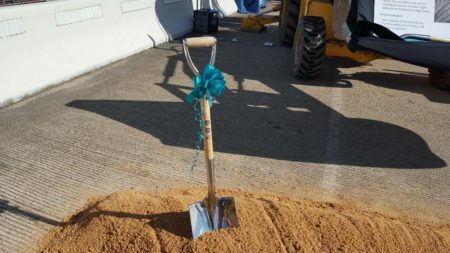 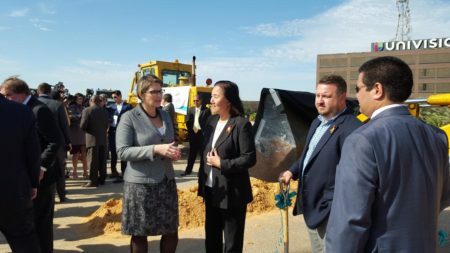 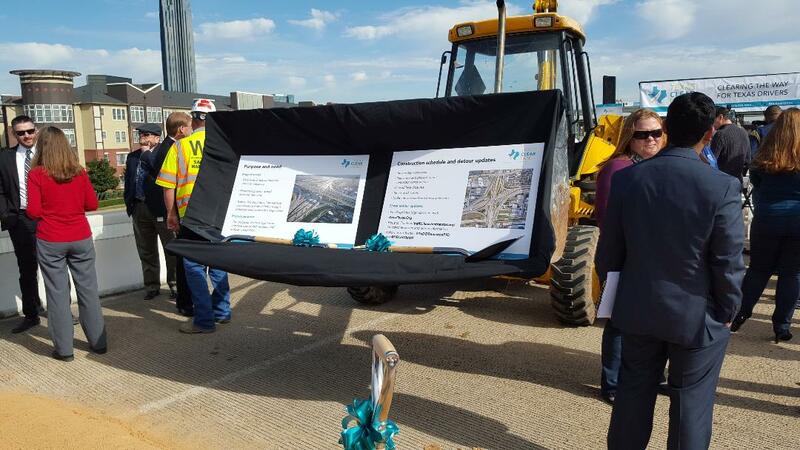 Dignitaries were on hand Monday for a groundbreaking ceremony on the Southwest Freeway HOV lane. 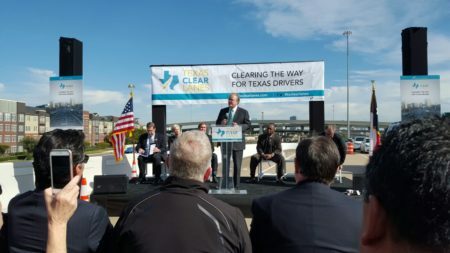 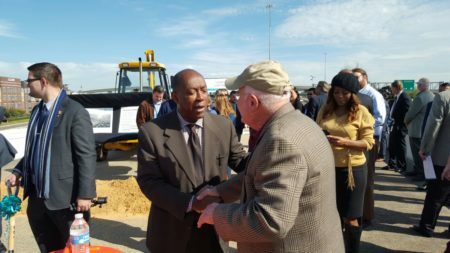 Mayor Sylvester Turner was there along with Congressman John Culberson and members of the Texas Transportation Commission. 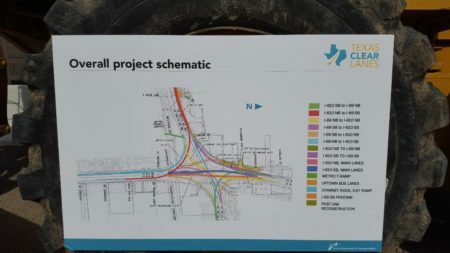 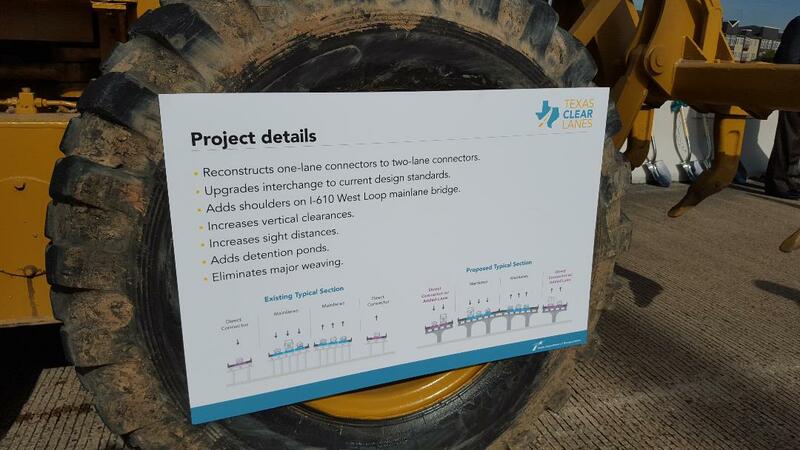 As for what the project entails, one-lane connector ramps will be upgraded to two lanes. TxDOT District Engineer Quincy Allen said the big thing they hope to eliminate is sudden lane changes. 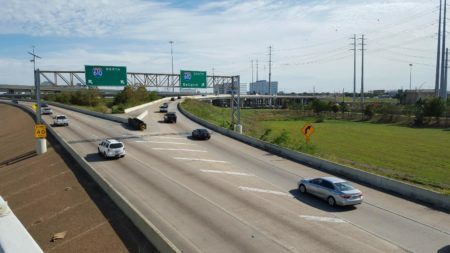 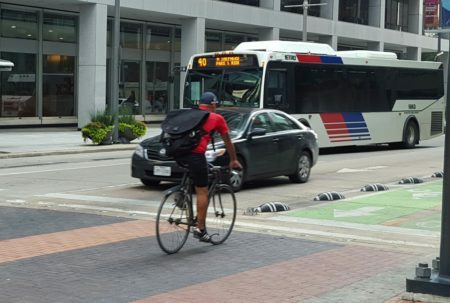 Other improvements include shoulders for the 610 West Loop bridge. 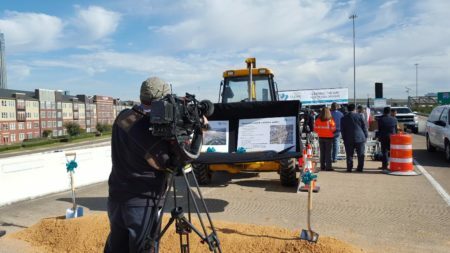 Also detention ponds will be added to help keep water off the mainlanes. 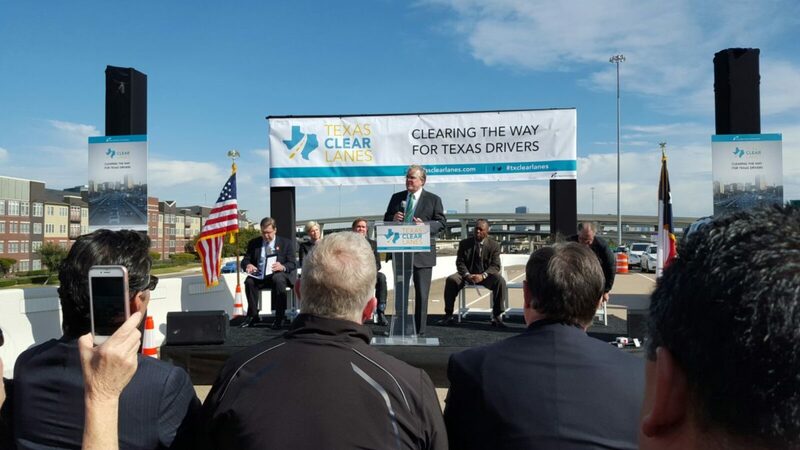 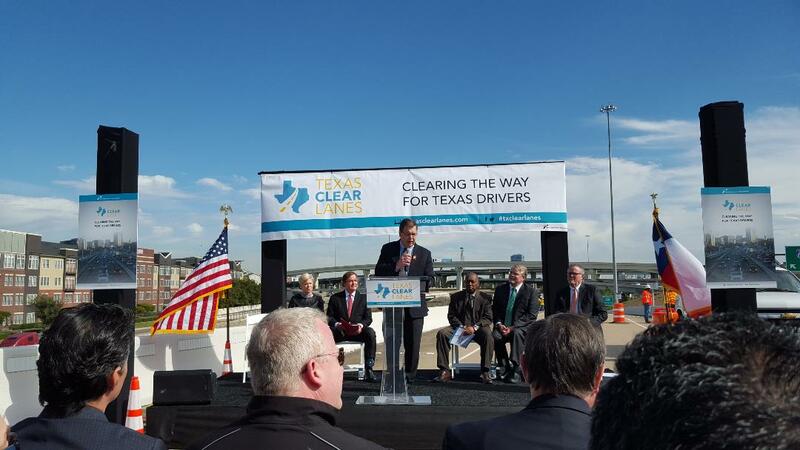 TxDOT said vertical clearances will also be increased. 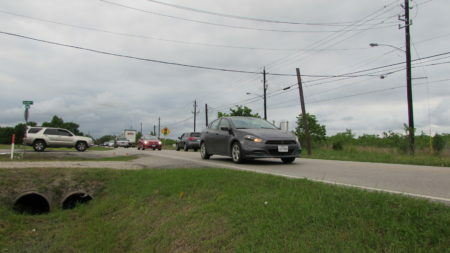 The work is scheduled to take between five and six years but TxDOT hopes to finish sooner. 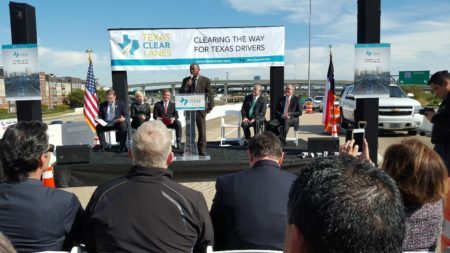 Allen said lanes of traffic will be kept open through the construction zone while that work is underway. 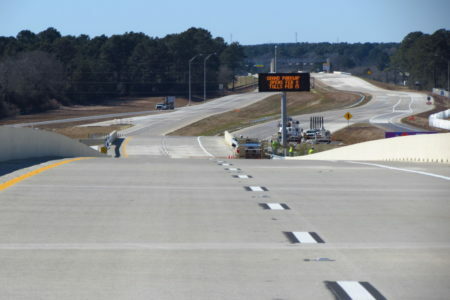 He added crews will work on a seven-day-a-week schedule, and if they have to close the mainlanes at any point they’ll do it at night or during the weekend.